Most likely your device needs Notification settings revised. Here’s how . . . 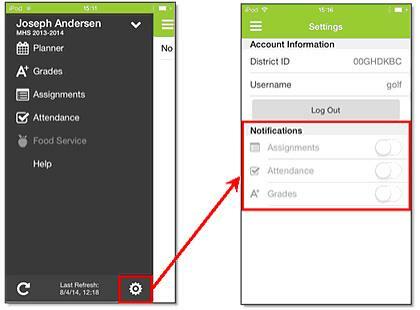 This may occur if there was an error that occurred when installing or updating the Campus Mobile Portal app. Ensure your District ID, Username and Password are accurate.